Every morning, in front of Buffalo's North Park Academy, cars and buses roll right along. 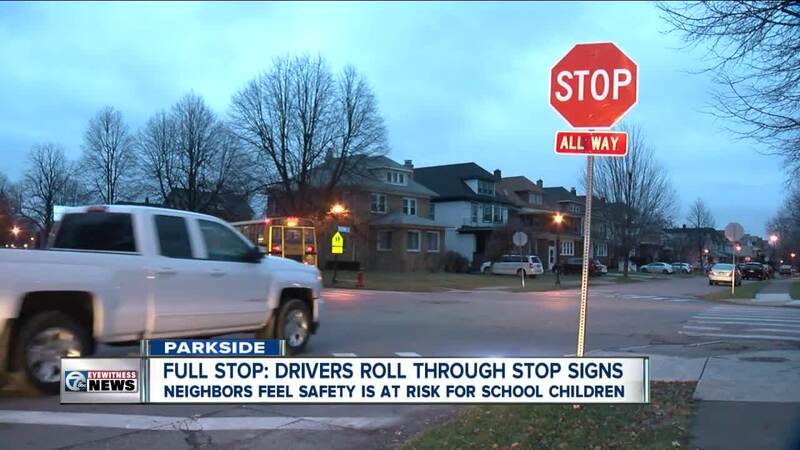 BUFFALO, N.Y. (WKBW) — Every morning, in front of Buffalo's North Park Academy, cars and buses roll right along. That's actually becoming quite a problem for some folks who live in that neighborhood. They say those drivers are not stopping at stop signs. "Some will slow down and pause, but will just completely blow right through," Judy Anthony said. Anthony has been living on Tacoma Avenue for more than 20 years. She says this stop sign issue has become a problem for a long time, but has become more of an issue over the past few years. "I guess it's an increased concern for me because this is a community school. You've got more younger children walking back and forth from school," Anthony said. She believes safety is at risk for those school children. Councilman Joel Feroleto thinks this is a real problem, too. He says 80% of students at North Park Academy are from the neighborhood and many of them walk to school. "It's frustrating because if people would just follow stop signs and followed the rules of the road...we wouldn't even be having this conversation," Feroleto said. He had a conversation with Buffalo police. That started a month-long ticket blitz in December. The 7 Eyewitness News I-Team has discovered a 2,000% increase -- 21 tickets -- issued last year, over tickets issued in 2016 and 2017. There was a 1,300% increase -- 14 tickets -- issued to drivers who failed to stop at stop signs over the same time period. Most tickets were issued during this month-long campaign. 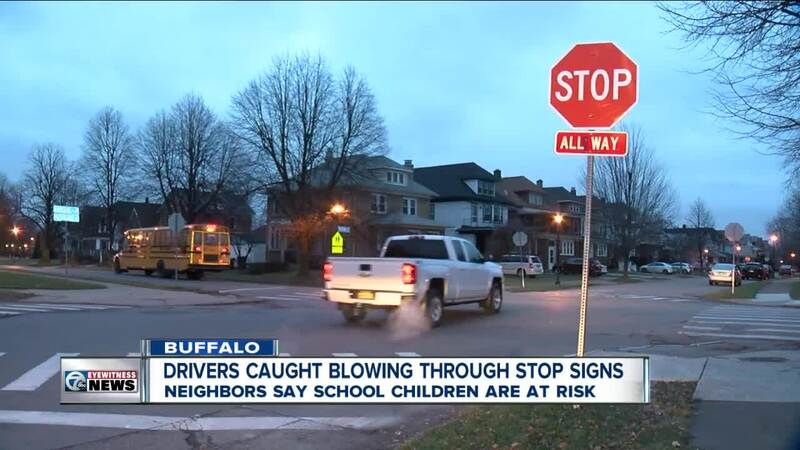 "I personally have noticed a difference in the speed and people making complete stops at the stop signs since the Buffalo police have had their detail there for a month," Feroleto said. "We're not done there," said Buffalo Police Deputy Commissioner Joseph Gramaglia. "We may have had a real increase for a certain amount of time, but we are still going back." The department is keeping a close eye on this neighborhood. "There are kids going to school there... there will be more kids the way that school is expanding. There will be kids that are walking and we want to make sure it's safe for everybody," Gramaglia said. Speed is not a top complaint in this neighborhood, according to police. Still, Feroleto is hoping a newly introduced school zone resolution -- which would require reduced speed-- will help this neighborhood. "A lot of people use it when commuting downtown from Kenmore, Tonawanda, some people from Amherst -- so it's traveled by thousands of people on a daily basis," Feroleto said. "We want to make sure people are driving the speed limit, obeying the stop signs, obeying the lights because that will make a safer community." He wants changes implemented no later than September. Judy Anthony, who has become a voice for her neighbors and their concerns, has a simple bottom line: permanent change.